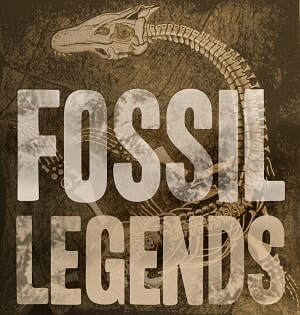 By the end of the nineteenth century, the hypothesis put forward by Georges Cuvier that the origins of many mythic monsters could be found in the fossil remains of extinct species had gained a degree of acceptance among anthropologists and paleontologists. In his two-volume study of Primitive Cultures, the anthropologist EDWARD BURNETT TYLOR (1832-1917), an early proponent of cultural evolution, discussed the many ways myths and legends develop. In the following passage, Tylor describes how fossils have given rise to historical inferences that straddle the line between myth and history. Most interesting is the way this process was still at work in Tylor's own day, as it is even down to the present day. The following is taken from the 1920 edition of Primitive Cultures, whose first edition was published in 1871. I have divided the original single paragraph for ease of online reading. Although the attempt to reduce to rule and system the whole domain of mythology would as yet be rash and premature, yet the piecemeal invasion of one mythic province after another proves feasible and profitable. Having discussed the theory of nature-myths, it is worth while to gain in other directions glimpses of the crude and child-like thought of mankind, not arranged in abstract doctrines, but embodied by mythic fancy. We shall find the result in masses of legends, full of interest as bearing on the early history of opinion, and which may be roughly classified under the following headings: myths philosophical or explanatory; myths based on real descriptions misunderstood, exaggerated, or perverted; myths attributing inferred events to legendary or historical personages; myths based on realization of fanciful metaphor; and myths made or adapted to convey moral or social or political instruction. Man's craving to know the causes at work in each event he witnesses, the reasons why each state of things he surveys is such as it is and no other, is no product of high civilization, but a characteristic of his race down to its lowest stages. Among rude savages it is already an intellectual appetite whose satisfaction claims many of the moments not engrossed by war or sport, food or sleep. Even to the Botocudo or Australian, scientific speculation has its germ in actual experience: he has learnt to do definite acts that definite results may follow, to see other acts done and their results following in course, to make inference from the result back to the previous action, and to find his inference verified in fact. When one day he has seen a deer or a kangaroo leave footprints in the soft ground, and the next day he has found new footprints and inferred that such an animal made them, and has followed up the track and killed the game, then he knows that he has reconstructed a history of past events by inference from their results. But in the early stages of knowledge the confusion is extreme between actual tradition of events, and ideal reconstruction of them. To this day there go about the world endless stories told as matter of known reality, but which a critical examination shows to be mere inferences, often utterly illusory ones, from facts which have stimulated the invention of some curious enquirer. Thus a writer in the Asiatick Researches at the end of the 18th century relates the following account of the Andaman islanders, as a historical fact of which he had been informed: 'Shortly after the Portuguese had discovered the passage to India round the Cape of Good Hope, one of their ships, on board of which were a number of Mozambique negroes, was lost on the Andaman islands, which were till then uninhabited. The blacks remained in the island and settled it: the Europeans made a small shallop in which they sailed to Pegu.' Many readers must have had their interest excited by this curious story, but at the first touch of fact it dissolves into a philosophic myth, made by the easy transition from what might have been to what was. So far from the islands having been uninhabited at the time of Vasco de Gama's voyage, their population of naked blacks with frizzled hair had been described six hundred years earlier, and the story, which sounded reasonable to people puzzled by the appearance of a black population in the Andaman islands, is of course repudiated by ethnologists aware of the wide distribution of the negroid Papuans, really so distinct from any race of African negroes. Not long since, I met with a very perfect myth of this kind. In a brickfield near London, there had been found a number of fossil elephant bones, and soon afterwards a story was in circulation in the neighbourhood somewhat in this shape: 'A few years ago, one of Wombwell's caravans was here, an elephant died, and they buried him in the field, and now the scientific gentlemen have found his bones, and think they have got a prae-Adamite elephant.' It seemed almost cruel to spoil this ingenious myth by pointing out that such a prize as a living mammoth was beyond the resources even of Wombwell's menagerie. But so exactly does such a story explain the facts to minds not troubled with nice distinctions between existing and extinct species of elephants, that it was on another occasion invented elsewhere under similar circumstances. This was at Oxford, where Mr. Buckland found the story of the Wombwell's caravan and dead elephant current to explain a similar find of fossil bones. Such explanations of the finding of fossils are easily devised and used to be freely made, as when fossil bones found in the Alps were set down to Hannibal's elephants, or when a petrified oyster-shell near Mont Cenis sets Voltaire reflecting on the crowd of pilgrims on their way to Rome, or when theologians supposed such shells on mountains to have been left on their slopes and summits by a rising deluge. Such theoretical explanations are unimpeachable in their philosophic spirit, until further observation may prove them to be unsound. Their disastrous effect on the historic conscience of mankind only begins when the inference is turned upside down, to be told as a recorded fact. Source: Edward B. Tylor, Primitive Culture, vol. 1 (London: John Murray, 1920), 368-371.